In March 2015, the United Nations Energy Programme (UNEP) released a report on the state of renewable energy. The findings were encouraging for supporters of alternative energy; in 2014, renewables generated over 9 percent of the word’s energy, up nearly a percentage point from 2013. Investors are taking notice of the success of new renewable plants, with investment up 17 percent in 2014 to nearly $270 billion. Perhaps unsurprisingly, China led the way in investments in clean energy, spending the equivalent of over $80 billion in 2014, but countries such as Brazil, South Africa, and India also significantly increased investment in renewables. Investments in Europe over the past decade has paid off, as well, with 70 percent of new energy capacity added between 2011 and 2014 coming from renewables. Australia is nearing completion on a 1.3 million panel solar farm in New South Wales. 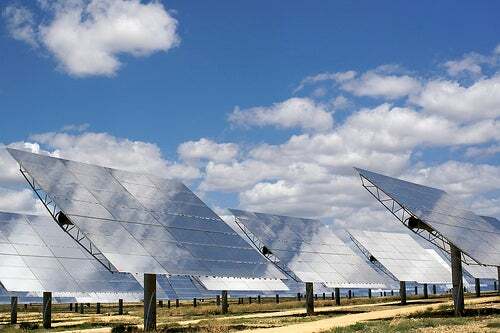 The Nyngan farm, expected to be fully operational in July 2015, will have a capacity of 102 megawatts; it will be the largest solar facility in the Southern Hemisphere. Solar is becoming the most desirable option for securing power in developing countries. 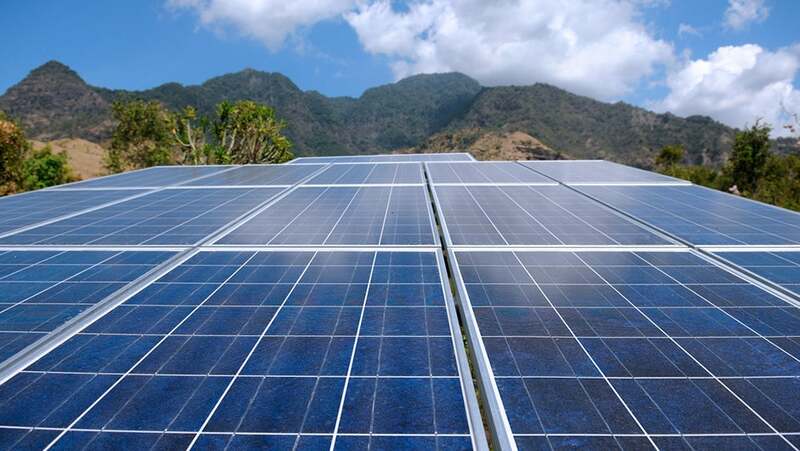 Advances in technology caused solar energy costs to drop nearly 75 percent between 2009 and 2014, making it very attractive for governments looking for reliable and inexpensive ways to drive development. Dubai recently announced Phase II of the Mohammed bin Rashid al Maktoum solar park, a 200 megawatt facility that is expected to sell electricity at just $0.06 per kilowatt hour. Compare that to $0.12 in the U.S. on average, and a whopping $0.41 in Denmark. For those interested in who is producing the most solar energy world-wide, here are the five largest solar energy plants either under construction or currently operational. The Ivanpah Solar Electric Generating System is a sprawling facility located in California’s Mojave Desert. Ivanpah went live in February 2014, and with its 392 megawatt capacity, it is currently the world’s largest solar electricity facility. Covering a vast 4,000 acres near the California-Nevada border, the system uses nearly 175,000 dual-mirror heliostats that focus solar energy to three central solar power towers. As of November 2014, the plant was only generating about half of its expected capacity, however. In 2009, the Chinese government announced plans to build a 2,000 kilowatt hour solar energy farm in Inner Mongolia, slated to power some three million homes. American manufacturer First Solar and the Chinese government signed a memorandum of understanding for the project, which would begin in 2010 and be completed by 2019. However, after four years of failed negotiations, First Solar dropped out of the project; the Chinese are looking for a new partner. Brazil recently announced plans to construct a massive floating 350 megawatt solar energy system near the Balbina hydroelectric plant located on the Amazon. Currently, Brazil relies on hydroelectricity for about 80 percent of its energy needs; the country is suffering under a severe drought, so it is pushing solar as an alternative as water reservoir levels drop off. The country has planned 31 solar parks, with the first going live in 2017. The second-largest operational system in the world is also in the Mojave Desert; Solar Energy Generating Systems (SEGS) have a capacity of 354 megawatts. The SEGS power plants were commissioned in 1984 and completed in 1991. They are located in Daggett, Kramer Junction, and Harper Lake, California. The Solana Generating Station is located in Gila Bend, about 70 miles southwest of Phoenix. It was built by Abengoa Solar, a Spanish company, and completed in 2013. With a capacity of 280 megawatts, Solana provides power for about 70,000 homes. The Arizona Public Service has an exclusive contract to buy all the station’s electricity in order to meet its mandate that 15 percent of the state’s electricity come from renewables by 2025. Solar is definitely a technology whose time has come. With consumers recognizing the need for clean, renewable energy and the technological advances driving down the costs, expect to see even more mega solar plants in the future.